Hummer Ag Team | Hummer AgriBusiness Search, Inc.
Notice: Undefined index: image_weight in marinelli_get_banners() (line 289 of /home/eastonw/hummerag.com/sites/all/themes/marinelli/template.php). 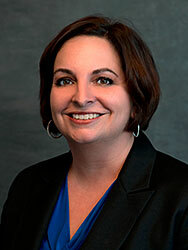 Dawn Driscoll joined the Hummer Ag Team in 2011 to help provide operational and administrative support to the business. Dawn is deeply rooted in agriculture. She grew up on her family's row crop farm where they raised hogs, and cattle in Western Illinois. She has been very passionate about showing livestock and has been actively involved with 4-H and FFA her whole life. After graduating from high school, Dawn attended Western Illinois University majoring in Agronomy, with a minor in Ag Business. While attending WIU she was on the Livestock Judging Team. After graduation, Dawn went on to work for various ag retailers, and also spent time in the seed industry. In 2008, she and her husband Joe moved to Iowa to be closer to his family and to farm. They have three children, Andy, Erin & Erica and reside in rural Williamsburg, Iowa. They farm a growing row crop and cow-calf Angus operation. Dawn is tirelessly active in volunteering to help when needed with the local FFA and she continues her passion for agriculture as a member of the Farm Bureau Board of Directors. She is also a member of the Angus Association. ©2010-2017 Hummer Agribusiness Search. All rights reserved.